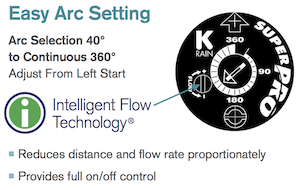 SuperPro rotors with Intelligent Flow Technology and patented Flow Control allow both the reduction of distance and flow rate by 50%, simultaneously! Water savings of up to 30% or more is achieved with this innovative feature. SuperPro rotors deliver matched precipitation eliminating dry spots and providing better zone performance. Water flow can be turned off during nozzle installation or adjustment, with the riser remaining in popped-up position. SuperPro rotors have a patented Arc Memory Clutch that returns the rotor to its pre-set position. The shrub model does not pop-up, it is made to be installed on a riser at or above grade in shrub or landscaped areas. 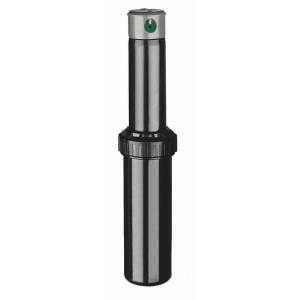 Designed for medium to large landscape areas, the adjustable arc and full-circle gear driven rotor comes standard with interchangeable nozzles. *Each rotor order includes one Flat blade Adjustment Tool. Additional sold separately.